Part of the refit involved moving the main entrance of the building to somewhere a lot more obvious and accessible, with the old entrance now re-purposed as the fire escape. On the very first day after the refit, I sat there in wonder as I watched no less than a dozen people walk straight past the blatantly obvious bigger, brighter new entrance. They instead continued round to where the old entrance used to be and stood staring (some for a good minute or so) entirely bemused at the empty space where the door handle used to be. One or two even began pawing at the door like a family pet wanting to be let in. Eventually, nearly all of them turned around –spotted the big, bright new entrance they had just walked past, stared suspiciously at it for a while as if it had suddenly appeared from nowhere while their back was turned … then came in. They all looked slightly confused by the whole thing and in at least one case – really quite angry. I say ‘nearly all’, as there was one poor chap who, finding he couldn’t get in using the old entrance just carried on walking round the corner. That would have been fine but that path didn’t actually go anywhere except the buildings bin store… so that’s where I found him, shortly after, staring at the wall, scratching his head and wondering where it had all gone wrong…. As you’ve probably guessed I found all of this more amusing than frustrating, and it did serve as a brilliant illustration of how, at times, all of us think and behave. The old entrance had, I was informed more than once, been there for several decades. As a result, many people ‘on autopilot’ either missed the new entrance entirely or simply didn’t register that the entrance could have possibly been anywhere other than where it had ‘always’ been. We all switch into ‘autopilot’ mode occasionally, but we do it most frequently when we think something has ‘always’ been a certain way. We even do it when it comes to helping yourself to some extra cash online … and that’s when it can get costly. 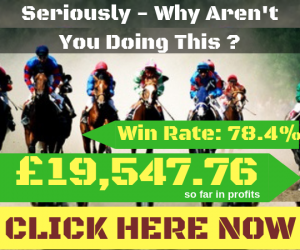 You need to consider how much money you could be making if only you’d got ‘in’ on that amazing system and not just sat there undecided … or all of the earnings that are passing you by every single day while you make up your mind. To sum things up, we can all let our ‘autopilot’ take us down the path we’ve always gone down, even when it takes us straight past something that is obviously a proven ‘game changer’. 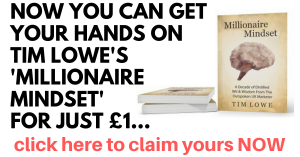 It’s easy to think that because something is different to the way we’re used to seeing money made online … because you’re not selling anything or building websites or writing sales copy … it’s not a ‘real’ way of generating a substantial amount of cash.